Sport Utility Vehicles (SUVs) have existed since the last 1940s, though they didn't gain the popular name until the 1980s. Built on a light truck drivetrain, these vehicles mix rugged off-road performance with comfort and room to spare. The earliest versions of this vehicle type developed out of military needs in World War II, which were eventually converted to civilian needs with the addition of doors and hard roofs. Today, these vehicles are most associated with general toughness and excellent handling over a variety of terrains. They've also become more luxurious, with many recent models featuring comforts designed for long off-road vacations. Their popularity began to explode in the 1990s when a mix between market pressure towards larger vehicles and families' desires for safer vehicles came together. For many households, SUVs were the ideal replacement for station wagons and minivans - they were about the same size, but with the added power, they were better at getting jobs done. As an extension of this, SUVs are easy to find in the used car market, making them affordable on many different budgets. That said, they do have some competition in crossovers, which have a lower and more car-like ride than SUVs. Many SUVs sold today are equipped with four-wheel drive systems for maximum power, but it is possible to find two-wheel drive versions at a lower cost. This is especially helpful for families that don't need to go off-road very often and would rather save on purchase price and gas. Modern SUVs are typically sold as mid-sized or full-sized - smaller SUVs are rare because, in most cases, they just don't fit what buyers are looking for. Mid-size SUVs tend to have better handling and fuel economy, and they're fundamentally similar to crossovers (while having better towing and off-road abilities). Full-size SUVs are more like pickup trucks with a huge cabin instead of a storage bed in the back. These vehicles typically seat as many as nine passengers, with enough towing ability to haul significant loads. There is one other thing that's held SUVs back, however - fuel economy. Full-size SUVs usually get around 20 combined miles per gallon, which is significantly lower than many other types of vehicles. It's not a surprise since they're built on the basic framework of trucks, but the higher fuel cost is something to keep in mind when deciding which type of vehicle to buy. Listed below are the suvs that received the 2019 J.D. Power award for highest quality, based on verified owner feedback detailing the number of problems they experienced with their new suvs during the first 90 days of ownership. Listed below are the suvs that received the 2019 J.D. 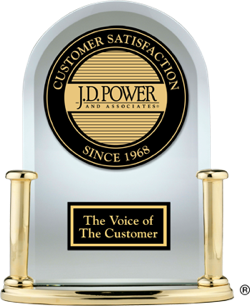 Power most dependable award based on verified owner feedback detailing the number of problems they experienced with their suvs throughout three years of ownership. The fewer the number of problems reported, the better. Listed below are the suvs that received the 2019 J.D. Power award for best performance based on verified owner feedback after 90 days of ownership. For 2019, three of the newest family-sized crossover SUVs you can buy are the Chevrolet Traverse, Subaru Ascent, and the Volkswagen Atlas. We grabbed top-trim examples of each and spent the day driving them back-to-back, assessing their layout and design, comfort and utility, safety and technology, and driving dynamics.